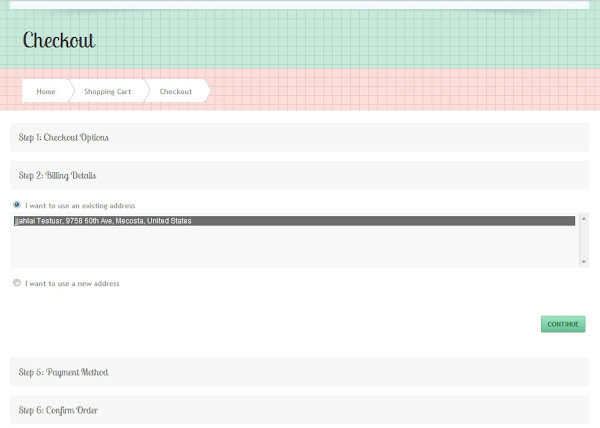 ↑The menu at the top right displays links to your account information, shopping cart and checkout. The shopping cart icon also displays options for checking out once products are added to your cart. 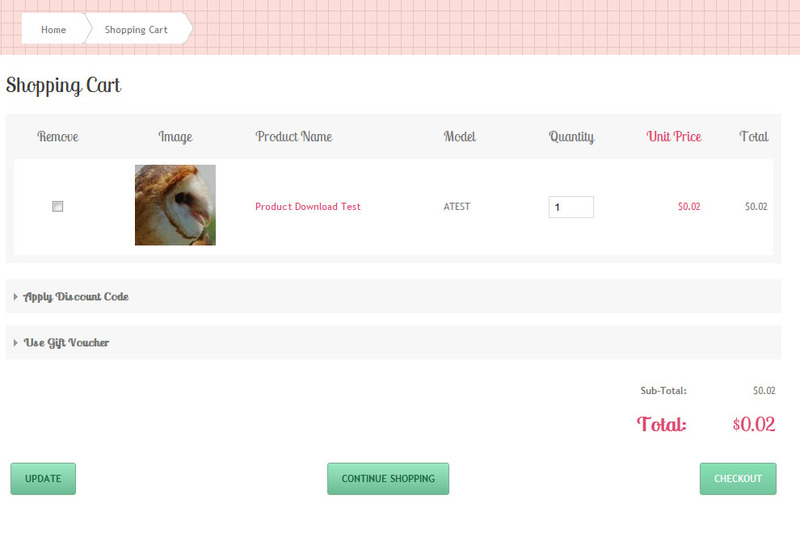 ↑ The above image displays when you add something to your cart. 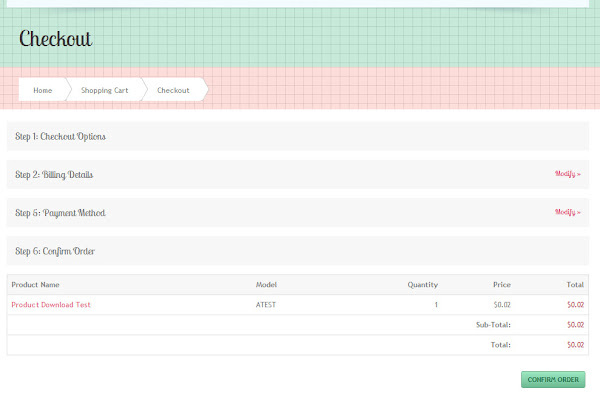 The basket shows the item(s) in the cart. 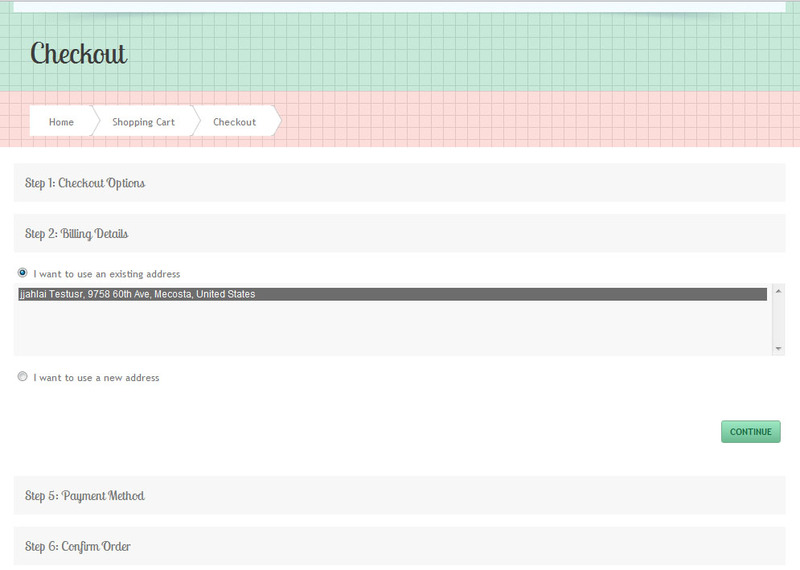 ↑ You can click on checkout from the highlighted area above. Click on the basket icon for this menu to display. You can also use the navigation links above. ↑ When you click on the shopping cart link it will display your cart as shown in the above image. Click on the checkout link to proceed. ↑ For this step you will either need to create an account or enter your previous login details. 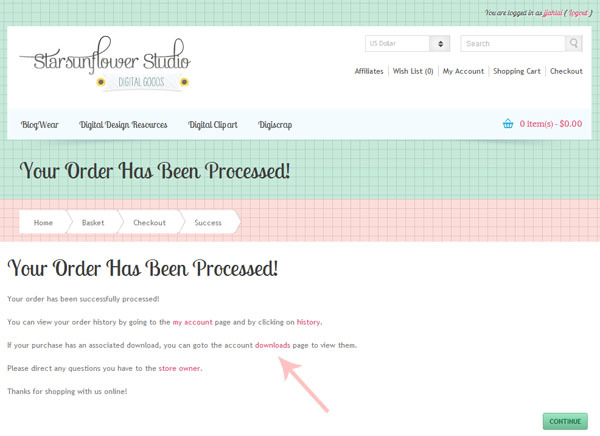 I do not have the ability to do guest checkout at this time for digital downloads. 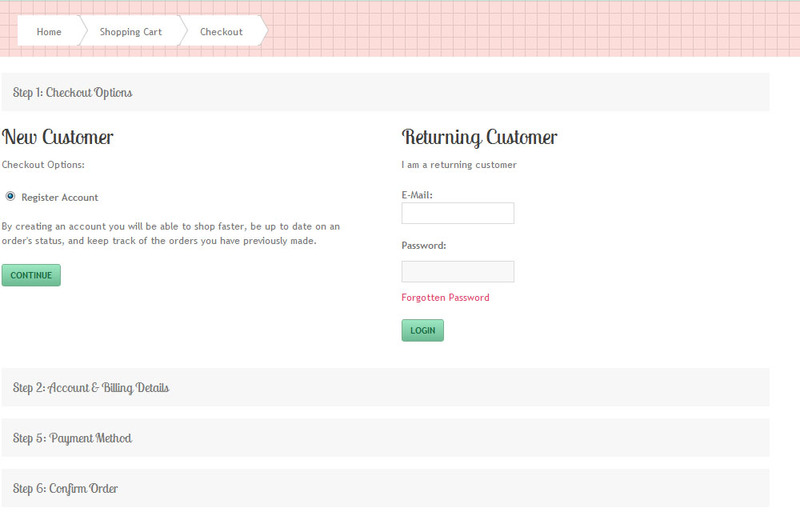 ↑ Once you have entered your login details, click continue as shown above. ↑ The next step is to select your payment method. You can use a debit or credit card for your purchase. 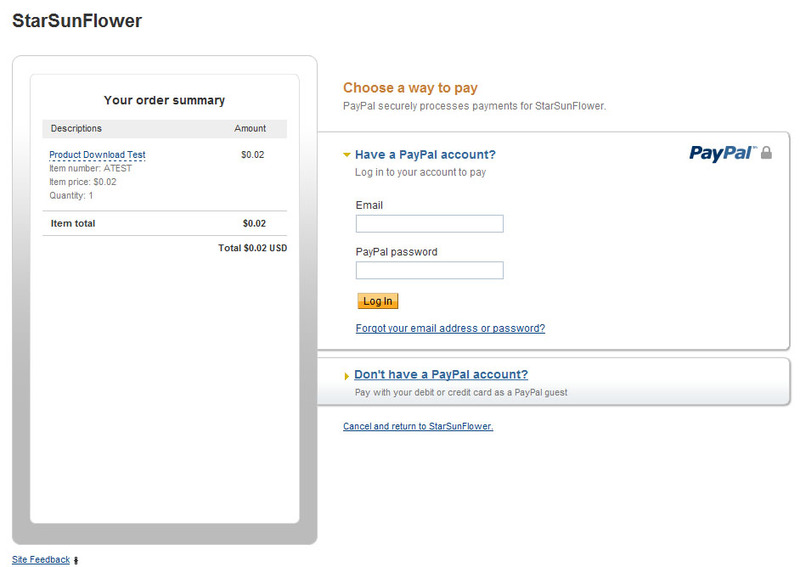 You can use paypal for this even if you don't have a paypal account. ↑ The next step is to confirm the order, as shown above. ↑ In the last step you will either login with your paypal credentials. If you don't have a paypal account and/or would like to pay with a debit/credit card you can click on the link that says "Don't have a PayPal account?" ↑ Once you have made your purchase, you will see the screen above temporarily until you are automatically redirected back to the cart. ↑ The above screen is where you will be directed once the purchase is made. 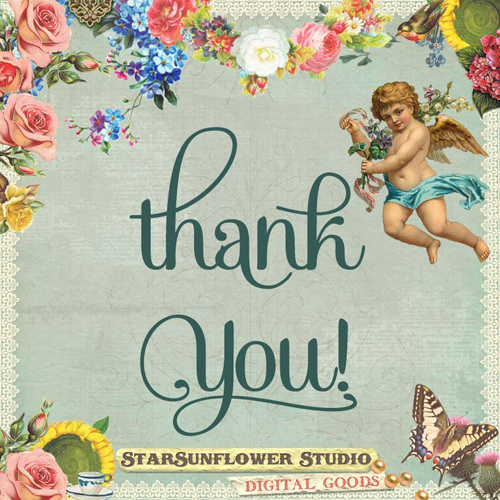 You can click on the downloads link to access your files. 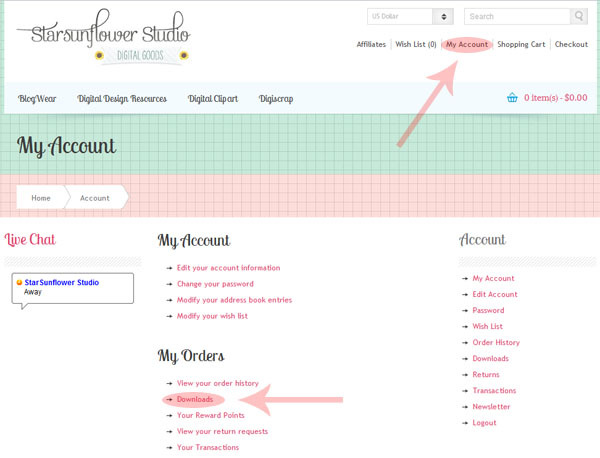 ↑ If you ever need to re-download something, go to the "My Account" link in the top menu and then click on the "Downloads" link under "My Orders".